Uber began testing a financial program Monday that aims to reduce the car payments of its drivers through a partnership with auto manufacturers and banks. The on-demand car company said it now has 100,000 drivers and "millions" of customers, with full-time drivers giving $100,000 worth of rides each year. But, it needs more cars. Uber CEO Travis Kalanick said the company is growing quickly - 20 percent per month in the last two months - and it wants to make sure there are enough cars for its system. The aim is to get "hundreds of thousands" of new cars on the road," he said during a press call on Monday. The new program, which initially goes live in San Francisco, Dallas, Chicago, New York, Philadelphia, and Boston, will "significantly reduce drivers monthly car payments," and "get more cars on the road more quickly," according to Ubers blog post. Kalanick said the average Uber driver is going to save $100 or more on monthly car payments for new car financing, and he added that some drivers will quality for financing when they couldnt have before. Currently, there are no refinancing options, but thats something Uber is working on adding, he said. Uber is partnering with GM and Toyota, and unnamed financial institutions, to make this happen. "The key to this new platform? Uber partner-drivers have a robust, reliable cash flow through the Uber platform - every fully utilized car on the Uber system grosses over $100,000/year," according to the blog post. "That kind of cash flow lowers the risk of financing drivers and means better access to cheaper credit than otherwise available on the open market." 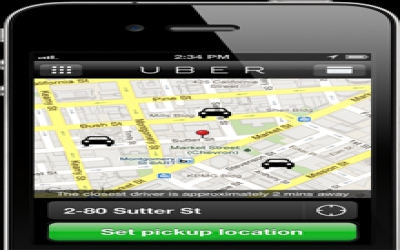 The program is available to drivers across all of Ubers services, including UberX. Update, 8:52 a.m. PT: Added more details and comments from Uber CEO Travis Kalanick.